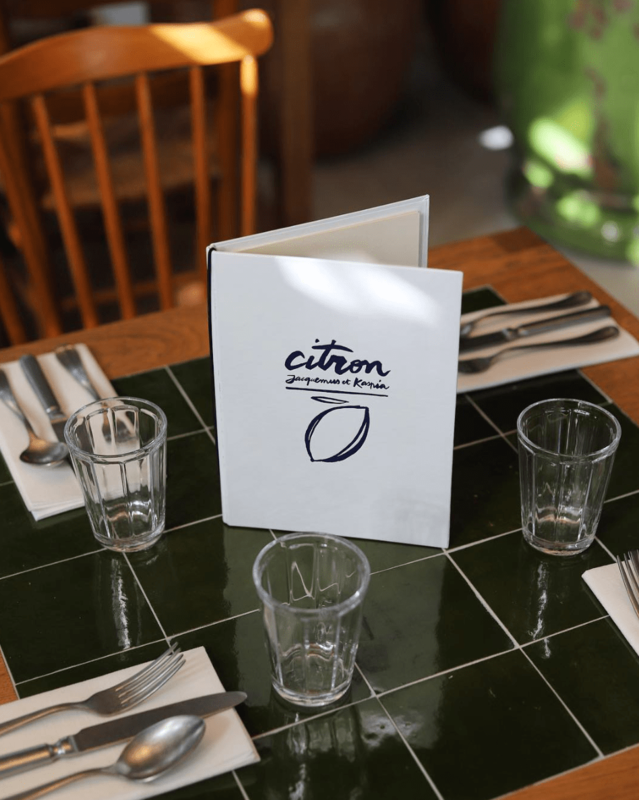 Straight from the mind of Simon Porte Jacquemus, the newly opened café Citron in Paris’ Galeries Lafayette brings the feeling of summer in the south of France to the heart of the capital. 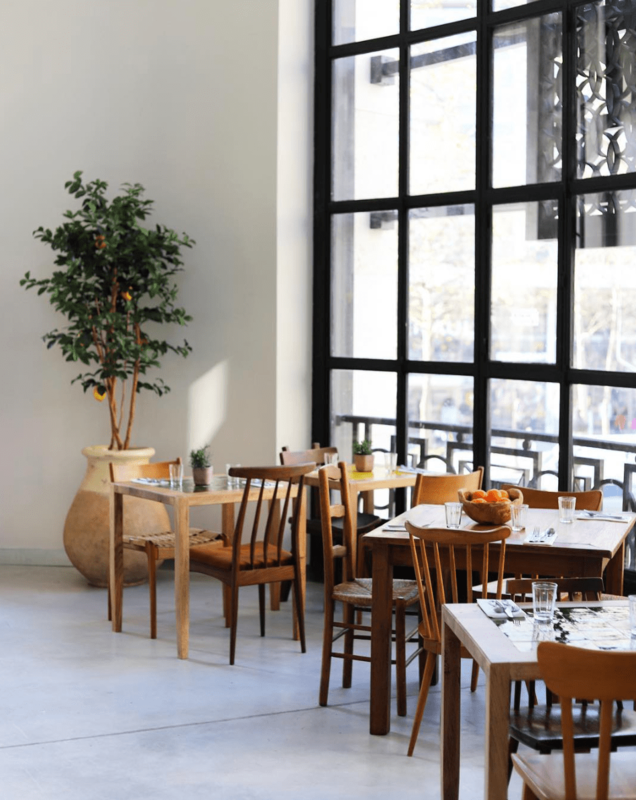 Filled with lemon trees, oversized ceramics and beautifully curated wooden tables and chairs, the space was designed in collaboration with the renowned gastronomy house Caviar Kaspia and orchestrated by Clara Cornet – creative director of Galeries Lafayette. Jacquemus was responsible for all elements of artistic direction, from the plates to the carpets. 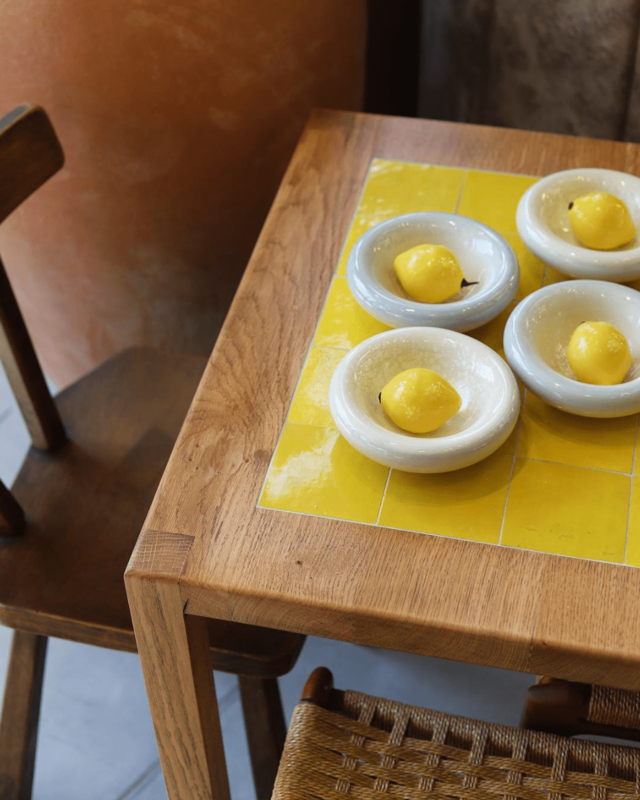 The celebrated designer drew inspiration from his childhood in Provence, something that is especially evident in the materials used throughout the space. Zellige tiles, terracotta and wood sit together in harmony, radiant in their simplicity. When it comes to the menu seasonal produce takes pride of place. 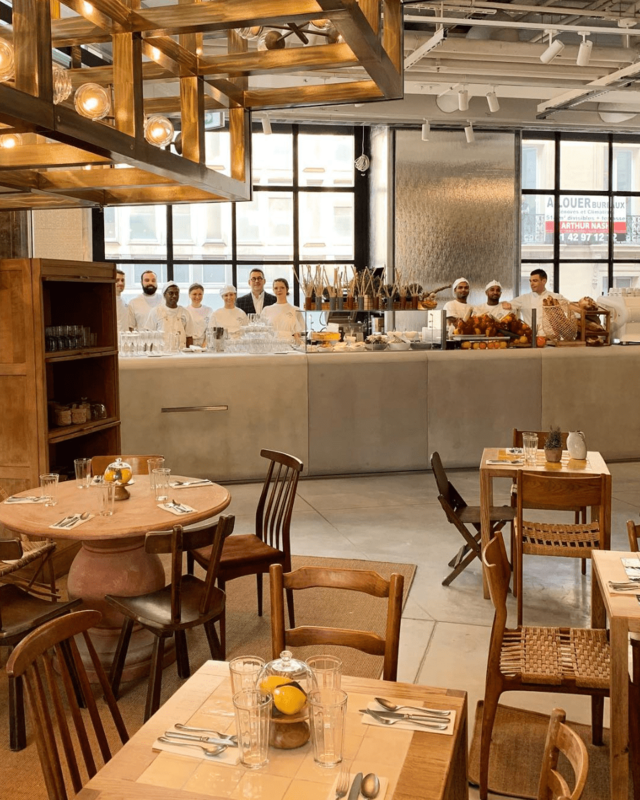 The café has teamed up with some of the South’s finest artisans, including the greengrocers Les Vergers St Eustache and boulangerie Sain by Anthony Courteille. 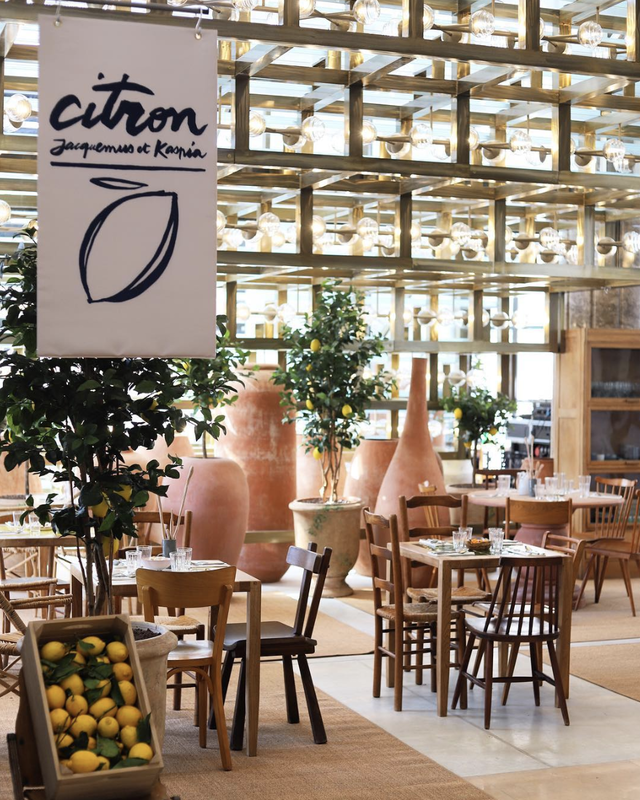 Citron by Jacquemus and Kaspia is open now at Galeries Layette Champs-Elysees.